Tanya Baily works exclusively in watercolour across a range of subject matter. Her passion is with the medium itself, and she continually experiments with techniques old and new, different pigments, and a range of papers and surfaces. Her recent works have been landscapes. Tanya Baily is a frequent finalist in National Art prizes and won the Rex Irwin award for painting in 2011. She has exhibited in numerous group and solo exhibitions in Sydney and overseas. She takes commissions for portraits, architectural subjects and landscape themes. Tanya Baily was educated at Oxford University and Chelsea School of Art in England, and completed a Masters of painting at COFA, UNSW, in 2010. Ash is a Sydney based multidisciplinary artist, working across video, installation, sculpture, jewellery and painting with a passion for exploring new and innovative mediums. With a professional background in editing and production design for set and costumes in film and theatre, Ash often uses elements of classic cinema in her art making practice. Ash holds a Bachelor of Fine Arts Majoring in Painting and Sculpture, and a Bachelor of Education (Secondary) specializing in Visual Arts and TAS from UNSW Art & Design (formerly COFA). She also hold two diplomas from the Australian Film Television and Radio School, in foundations of filmmaking and story fundamentals. Ash has exhibited, curated and taught throughout Sydney, and is excited to foster a sense of fun and play with young, emerging and established artists alike. Tanya studied Pottery and Ceramics at Hornsby TAFE college in NSW where she received Distinctions in Surface Treatment and won an Acquisition award. She uses a variety of techniques in her work such as wheel forming, hand building, sculpture and brush, airbrush and sgraffito applied decorations. Inspired by Australian landscapes, flora and fauna, Tanya creates functional work that is also decorative and fun to use, as well as sculptural pieces and landscapes. Since 1999 it has been Tanya Bechara’s mission to create beautiful, unique and functional ceramic art that is charming, visually entertaining and brings a smile to your face. Tanya’s work held in collections in Australian and overseas and has featured in pottery and ceramics magazines. Tanya has won several awards for her work in NSW competitions such as the annual Sydney Teapot Show and the Sydney Royal Easter Show. Tanya has also been teaching both children and adults in small ceramic workshops at her home studio in Sydney for several years where she also creates her own work. Her students have also won several awards at the Sydney Royal Easter Show and at the Bellingen Show. Tania’s objective is to engage the students through an enjoyable learning environment. She believes a happy student learns more and that practicing art is very much like “therapy” and should be a very soothing activity. Kassandra Bossell is a Sydney-based multidisciplinary artist, working across various modes of sculpture and installation. Her activities span visual, professional and performing arts, including work for exhibition, dance, film, theatre, museums, festivals, public and private commissions. Bossell holds a BVA from University of Sydney and is currently an MFA (Research) candidate at UNSW Art & Design. She has had solo and group exhibitions in Australia, Berlin and Malaysia and has completed several residencies. She has received public commissions from Sydney Opera House, City of Sydney, Opera Australia, Powerhouse Museum, Hurstville Council, Wollondilly Shire Council and Stalker Theatre Company. 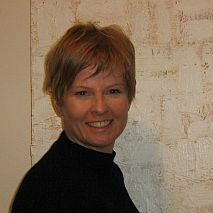 Her artworks are held in private collections in Australia, New Zealand, Malaysia, Germany and US. Kassandra has lectured in Sculpture at the National Art School and held courses and workshops at numerous universities, colleges and festivals around Australia. She has been selected for numerous prizes and won the Darwin Film Festival ‘Out There’ category and Liverpool Hospital Public Art Competition. Kassandra has been a recipient of the Arts & Design Grant from ARC @ UNSW, Art on the GreenWay Grant from Leichhardt Council, Artist to Artist Grant from NT Arts, Regional Art Grant from Arts NSW and Pat Corrigan Grant from NAVA. Laura is an Irish artist & printmaker now living in Sydney. Her work focuses on her response to the environments that we live in, depicting the familiar in unfamiliar ways. 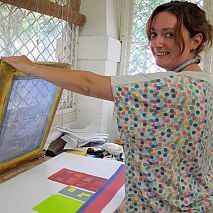 Laura has been teaching art for over 10 years both in Ireland and Sydney. She received a BFA with honours from the National College of Art and Design Irelandin 2007 and after coming to Australia she completed postgraduate studies majoring in printmaking at College of Fine Arts, UNSW in 2009. Since completing her studies she has continued her teaching and art practice, participating in various solo and group shows both in Australia and internationally. Jade Court-Gold is a Sydney based artist working predominately with clay. Her recent work explores bodily thrown shapes and saggar firing. Jade has been experimenting with the combination of clay and metal, sculpturally and within ceramic firing. Jade has a Bachelor Fine Arts from the National Art School, majoring in Ceramics and is due to complete her MFA in 2019 and is a recipient of the Bird Holcomb MFA Scholarship. Kate de Kantzow has always had a passion for art and studied art and design throughout school. She completed a Certificate in Fashion and Fashion Design at the University of Darwin as well as a Certificate in Graphic Design at Enmore College of Design. Kate designs bespoke stationery for boutique homeware stores in Sydney, Melbourne, Perth, NZ and London. Kate specialises in wedding stationery and personal stationery and has a wide variety of clients such as Australian Harpers Bazaar, Inside Out magazines, YSL Beaute, Witchery and Croser sparkling wine. Kate teaches art to kids during the school holidays and does regular adult weekend workshops. Ashley’s teaching style is eclectic and energetic with an underlying focus of the formalities of drawing, color theory, tonal values and brush work. His recent teaching work has been on expedition cruise ships traveling to the the polar landscapes of the Arctic and Antarctica where he taught passengers drawing, watercolour and acrylic painting. He has taught art theory at the university of Wollongong while researching for his PhD study of public art.As a local government cultural officer he facilitated a wide range of community art projects across the Illawarra region resulting in creation of temporary and permanent public artworks. Early in his career following art school Ashley co developed the state funded Matthew Talbot Art Program where he taught painting, drawing and ceramics to homeless communities across Sydney. Ashley paints landscapes and portraits with many of his works developed by painting and drawing outdoors. This method known as working plein air, involves painting and drawing on location and has a long tradition with artists from Edgar Degas to Richard Diebenkorn. His first solo show in Sydney was at 235 Gallery Annandale was in 1997, and he has had regular solo and group shows in Sydney, Melbourne and abroad ever since. Ashley won the Hills Prize in 2018 and was a finalist in the 2017 Archibald Prize. He won the people’s choice award for the 2017 Mosman Art Prize and was a finalist in the 2017 EMSLA Still Life Prize and the 2017 NSW Parliament Plein Art Prize. He is a graduate of the National Art School and has a Certificate in Studio Ceramics from Gymea TAFE. Ashley is represented in Australia by Stella Downer Fine Art. Jody Graham is a Sydney-based artist whose work encompasses drawing, mixed media, sculpture and installation. Jody is best known for her bold, expressive urban landscapes, particularly of industrial and construction sites and older buildings, exploring themes of impermanence, loss and erasure. She favours the directness of plein air sketching as the basis for work in the studio. Jody has been selected twice for the Kedumba Drawing Collection and as a finalist in several drawing awards including the Dobell and Adelaide Perry. Solo exhibitions in 2011, 2013 focused on urban and industrial landscapes but there is recurring interest in portraiture and animal studies. In 2014, Jody won the Drawing Prize at Waverley Art Award, Wild Valley ‘Draw on the Mountain, Sketchbook Prize’ and the works on paper award with Blacktown City Art Prize. Jody’s recent solo exhibition ‘Sydney Drawn’ at the Lost Bear Gallery in 2015 focused on a starker vision of Sydney’s streets and buildings. Born in Adelaide in 1948, Peter Griffen has been painting for over forty years. He lives and works in his warehouse studio in the inner west of Sydney and travels throughout Australia and overseas exhibiting and teaching. He has had over fifty solo exhibitions in Australia, five exhibitions in London, three in Paris, two in St Tropez, one in Lyon and one in New Zealand. His participation in group exhibitions is also widespread; art fairs in Canada, UK, Belgium, Singapore, Melbourne and Sydney, he has been a finalist in the Blake, Sulman, Dobell, Fleurieu, Eutick, Alice, Faber-Castell, Fishers Ghost, Biennale Internationale du Pastel (France) and has been invited to exhibit in the Tattersalls Landscape Exhibition and Messagers de la Terre (France). This year he won the Muswellbrook aquisitive prize for works on paper. Peter has been teaching workshops for over 15 years throughout Australia, and in New Zealand, Italy, UK and USA. Carla is known for her landscape works that explore a sense of place through movement, light and colour primarily through the medium of oil paint. She has a Master of Fine Art (COFA), Master of Art (COFA), Bachelor of Fine Art (COFA) as well as a Certificate IV in Training and Assessment. Carla has won numerous prestigious art awards including the Hornsby Art Prize, 2011, The John Coburn Emerging Artist Award, Blake Society 2011, Winsor and Newton Start Your Studio Scholarship 2011 and was Second Runner Up Prize, UNSW Arc Annual Exhibition at Kudos Gallery 2009. 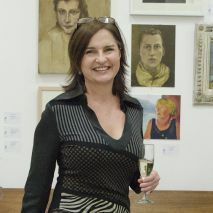 Carla won the Mosman Art Society Viewer’s Choice Award at the 2012 Mosman Art Prize. Carla exhibits at Art House Gallery in Sydney. 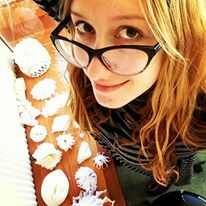 Laura has a varied educational background, holding a Masters in Illumination Design from the University of Technology Sydney, a Bachelor of Fine Arts (National Art School, Sydney) and further studies in biology, science communication, curation and museum studies. Laura is also the creative director of Brainlight, an interactive brain installation that lights up with the power of your mind. Laura is both a painter, sculptor, illumination artist and interaction designer whose work fuses the multidisciplinary fields of art, biology, illumination design, neuroscience and BCI (brain-computer interface) technology to explore new ways of perceiving and interacting with our inner biological processes. Laura has had work presented at major Australian festivals including Vivid, BEAMS and Woodford Folk Festival. She has at institutions across Australia, including the Museum of Contemporary Art, The Powerhouse Museum, the Australian Museum, the S.A Natural History Museum and the National Archives in Canberra and recently presented a keynote demonstration of her project Brainlight at the ‘Hoy Es Diseno’ (Design of the Future) conference at ICESI University, Cali Colombia in 2015. "Painting must communicate our feelings. This is why as painters we must learn to use our paint to carry those thoughts and ideas. My classes are fun and information packed, where I aim to give you the richest art learning experience possible... sharing everything I wish I’d been taught when I’d studied, but have since learnt over 30 years as a practising artist." Nicole Kelly has a Bachelor of Fine Arts (Hons) from National Art School, Sydney and works across drawing and painting with a particular interest in the landscape genre. Nicole has held 8 solo exhibitions in Sydney. She has been a finalist in the Wynne Prize, the Black Swan Prize for Portraiture and the Portia Geach Memorial Award. Nicole’s work is represented in the Shoalhaven City Arts collection, Moran Arts collection, Foxtel collection and private collections in Australia and England. In 2009 Nicole was awarded the Brett Whiteley Travelling Art Scholarship. 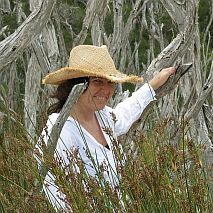 She has been awarded residencies at the AADK in Spain, Cite Internationale Des Arts, Paris, France and Bundanon NSW. Nicole received the Glebe Youth Art Award, the Hazelhurst Local Artist Award, the Gruner Prize and the Robert Le Gay Brereton Drawing Prize. Nicole has lectured at National Art School and facilitated workshops in partnership with the Sydney BEAMS festival. Nicole teaches at Hazelhurst Regional Gallery, Art.Est Art School and sits on the Hazelhurst Regional Gallery Exhibition Committee. Ochre Lawson is an experienced art tutor of 8 years and practicing artist of ten years, teaching and exhibiting in drawing, painting and sculpture mediums. She has a BA in Fine Art from the National Art School in Sydney, a Diploma of Fine Art from Southbank Institute of Tafe, Brisbane, and a Certificate IV in Training and Assessment. Denise Lithgow is a Sydney based textile artist whose imagery is based on the landscape. Her machine embroidery involves two dimensional pictures, quite often in abstract form with representational imagery. I have a strong sense of colour and design and react to what feels right in my work. I travel often and take a visual diary with me to record ideas, drawings, notes and diagrams. I’m sure that growing up on a sheep property engrained in me the smell and texture of wool and, hence, my love of working with wool. Vessels are a very early utilitarian art form. I regard my felted vessels as a pure art because they lack any utilitarian function. I create them because I enjoy them visually and at the same time know that they are part of a long history of development. Denise exhibits her textile art regularly in group exhibitions, art prizes and international exhibitions and recently had a solo exhibition, “Travelling West-From the Ocean to the Desert” at the Muswellbrook Regional Art Centre with felt vessels. She has work in galleries in NSW and SA. In 2012 and 2014 Denise was selected as the Australian representative for the Biennial “World of Threads Festival” in Canada, a finalist in the Broken Hill Outback Art Prize 2012/2013, was selected to show work in the Wangaratta Art Gallery, “Petite Textiles” exhibition. The Painters Gallery and Breathing Colours Gallery, Sydney, Timeless Textile Gallery, Newcastle and Bamfurlong Fine Arts, SA have Denise’s vessels on display and she was a finalist in the Hunters Hill Art Prize 2011/2013/2014. Denise has also won many prizes at the Royal Sydney Art and Craft exhibition, first prize in the Brisbane National Textile Art Show and in 2014 Denise won the Hornsby Sculptural Art Prize with her felted vessel “The Link” and in 2015 won the Textures of One Fibre prize in Blayney, NSW. Shinhee G. Ma is a freelance ceramic artist based in Sydney. She is specialised in making contemporary sculptural wares that are playful and functional for everyday use. She has completed a B.A (Hons) degree in ceramics at Sydney College of the Arts (University of Sydney) in 1999 and studied Master of Design at College of Fine Arts (UNSW COFA) in 2002. Shinhee has been working as a pewter cutlery/ giftware designer for five years after graduating university and has been teaching art and craft to children for many years, mainly through private lessons. She is also currently studying final year in Diploma of Early Childhood Education. Shinhee likes to create work which people could love and relate to. Something that is not only pleasant to look at but also gives pleasure in use. She loves the beauty of function and the intimacy between people and the object. Her works are mostly wheel thrown. Forms are manipulated and handbuilt when it is leatherhard and made into molds for slip casting. She draws influences from everyday life, nature, household objects, flora and fauna, still life, typography and illustration. She hopes to teach and offer a wide range of ceramic techniques and methods such as throwing, hand building, slip casting, mould and slab making, scraffito, slip trailing etc for all ages from Year one through to adult. Marie holds a BDes (Visual Communication) and studied painting at the Julian Ashton Art School, she has taught workshops and master classes in both Sydney and New Zealand. Marie’s work is instinctive and investigative, whether her subject is a landscape, a person or a still life; her intention is to catch a moment that tells a story or to capture the soul of the subject. 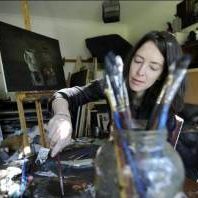 As a tonalist her work has a subdued, emotive resonance, she draws on everyday objects, situations and environments.Marie has been a finalist in numerous major prizes including the Archibald Prize, the Doug Moran National Portrait Prize, the Black Swan Portraiture Prize and the Portia Geach Memorial Award. She has been invited to exhibit in the Tattersall’s Landscape Art Prize and in 2016 she was invited by the Moran Arts Foundation to have a solo show at Juniper Hall. Tania Mason has a Diploma and Degree in Fine Arts at the National Art school in Sydney. The past 20 years Tania has exhibited widely through-out Paris, Saint Tropez, Melbourne, Brisbane,Adelaide and in Sydney at Australian Galleries Works and Art House to name a few. In 2016 Tania, was the winner of the Calleen Art Award for Painting and has recently completed an eighteen metre Public Art Commission in Bondi Junction. Some other worthy commission’s are The Arts Centre of Victoria and The Australian Ballet ‘Fire Bird and Other legends’, a 100 year celebration of inspirational art history to respond too! These works were acquisitioned for The Arts Centre of Victoria Collection and proudly toured regional Australia. 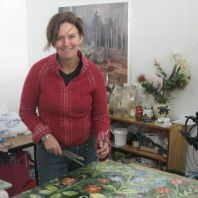 Tania has been in the mix of artist in residence at Bundanon, Hill End and ArtSpace over the years. 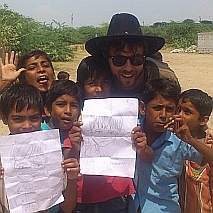 Through out these residencies a love of workshops and teaching has blossomed. Conducting and presenting workshops for children and teenagers based around children book illustration and her art practise. I have found over the years art making does not just fit into the old traditional old concepts of creating art . Art is about ideas and beauty that just aren’t pretty pictures on a wall but interactive, thought provoking and quite unique. Having an interest in creating art is about learning and incorporating the cross-over of many different mediums; charcoal, ink, gouache water colour, pen or sculpture…..you name it lets explore it! Samuel McNair a professional caricaturist and illustrator who also conducts specialised cartoon workshops for young artists. His approach to teaching customises lessons suited to each age group and which aim to develop the skills and trigger the imagination of students. Younger classes focus on shapes, symbols and expressions, the elder students will be given a more in depth view into design, technique and character. 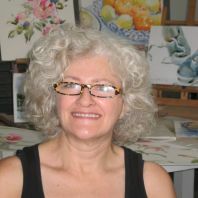 Dominique studied at the Julian Ashton Art School and the National Art School and has a BA (History Major) from the University of Sydney, as well as a Master of Art Curatorship. He is currently studying for his masters. Domininque has been a finalist in the Archibald Prize as well as the Salon des Refuses and has exhibited at Artarmon Gallery and CK Gallery Newtown. An experienced tutor, Dominique has for many years taught the fundamentals of proportion, perspective and tonal / colour values, from antique casts, still life objects and the life model. In conjunction with life drawing, he also imparsts a thorough knowledge of human anatomy at both a fundamental and more advanced levels. My aim in teaching is for students to thoroughly understand the language of art in terms that are as creatively inventive, as they are empirical and conceptual. In this I perhaps deviate from my four years of training at the Julian Ashton Art School in regarding sensual bodily action and dynamic compositional narrative, as essential components to a drawing practice, rather than simply a ‘dry’ ability for rendering the static life model or object. Sally Mowbray studied Fine Art in London at Camberwell School of Art (Foundation) Chelsea College of Art (Painting BA 1st Class Honours) and at the Royal College of Art (MA Painting). 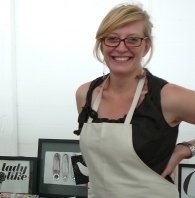 After graduating, Sally was part of the Notcut artist run studio and gallery space in Southwark London. She was a recipient of the Erasmus visual artists Scholarship to Berlin in 1995 and the Royal College of Art Cite Des Arts Residency in 1994. She was twice shortlisted for the British School at Rome Residency. Since returning to Sydney, she has been teaching, painting and developing new work. She has work in collections in the UK USA Switzerland and Australia. Commissions available. Susie has been a watercolour artist for 30 years and decided to share her passion for watercolour painting through teaching. Liz O’Reilly is a multimedia artist and art materials specialist. From the chemical composition of artists' pigments to found objects or electronic media, she is a material girl! Whether its ten-metre watercolour rolls in the outback or hundreds of handmade concrete bricks in a cemetery, Liz’s art practice links materiality to concept and place through the process of experimentation and innovation. Liz is a passionate arts educator, believing that using good materials, engaging in collaboration and fostering confidence are integral to the creative process. She works in schools and universities, and on community projects in regional areas. She has many years experience as an educator and technical adviser through the Winsor & Newton Fine Art Collective program. Liz exhibits widely and was awarded residencies in New Zealand and Lake Mungo through Hazelhurst Regional Gallery. She has a Masters of Studio Arts, and is currently undertaking a Masters of Fine Arts Degree at Sydney University. Kara Pryor, has been playing with clay for over 25 years. Kara studied Ceramics at Northern Beaches TAFE college, where she received an Advanced Diploma in Ceramics in 2015. Whilst at TAFE, Kara received an award in one of her certificates, as well as having the TAFE purchase her final work of a magnificent Dragon for the TAFE. 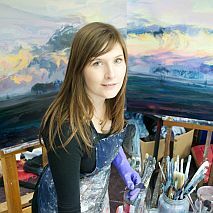 Kara’s work has been in many galleries for sale and exhibition such as Kerrie Lowe, Breathing Colours, Art Est. Art School, NSW Craft, Manly Art Gallery, Saint Cloche and Winkel Gallery.Kara has won several awards for her work in NSW competitions such as the annual Sydney Teapot Show in Newtown and the Sydney Royal Easter Show. Kara teaches both children and adults ceramic workshops and term classes.Kara’s own work is rainbow of colours and characters. She specialises in quirky, fun, detailed teapots. Kara was originally a handbulilder, but now combines throwing with her handbulding to create detailed characters. She specialises in dogs, all characters, functional and non functional ware and with a love of design creates functional thrown or handbuilt objects as a means of decorating. Kara’s classes are always calm and she has a certain energy that both children, parents and adults adore. Rhonda completed a Master of Fine Arts and Master of Studio Arts at Sydney College of the Arts (University of Sydney) and Bachelor of Fine Arts College of Fine Arts (University of New South Wales), Sydney. Rhonda has exhibited widely across Australia and has completed numerous residencies internationally. Her work is held in private and public collections. 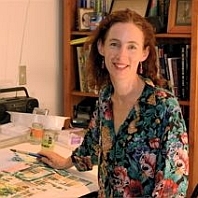 Rhonda’s visual arts practice encompasses textiles, painting, drawing and photography. She is interested in memory and how it functions within the culturally anthropological spaces of textile, object and place. I am particularly interested in history, emotion and imperfection, working across textile, photography and installation. I am drawn to working with textiles for many reasons: their intimate relationship with the body, their close association with memory, and their visual beauty and tactile appeal. For me, textiles are a natural, but not exclusive, medium of expression for my concerns. The invisible narratives within cloth speak of hidden histories, making, industry and identification. The DNA carried on cloth can no doubt reveal many stories. Mellissa was born in England in the 1960s and as a child emigrated to Australia with her family. She has studied & practiced printmaking and painting continuously for the past 14 years and is a recipient of many prizes and awards. Her Artwork is part of many private and public collections around the world. Living in rural Sydney overlooking the Hawkesbury River, Mellissa’s work ranges between vibrant interpretations of her local landscape to intricate wood & linocuts. Her combination of quirkiness and calm blend to create works with a strong spiritual base. A founding member of the Hawkesbury Artisans Trail, Mellissa continues to work promoting creativity in the local community and works as artist, tutor & illustrator. Thomas Thorby-Lister, also known as ‘Skulk’, works across painting, drawing and muralism. Expressive large-scale murals and playful characters have long-formed the basis of Skulk’s practice, but his more recent work shows an exciting development toward figurative abstraction, yet retaining a strong sense of style and authentic energy. Thomas completed Bachelor of Fine Arts from Sydney College of the Arts with a major in print media. Thomas worked as a volunteer with City of Sydney and WEAVE Youth Services running a variety of workshops. He works withwith local schools, youth services and councils, running classes on skateboard design, programs on murals, and other creative workshops. Founder and Director, Jennifer McNamara, has a passion for art that guides her own creative journey. Art has always been her passion, and her etchings were selected for the HSC Art Express. A year living in Japan as an exchange student then took her to study Japanese at Canberra University where she attained a Bachelor of Arts. An opportunity to work on a Japanese arts festival in Sydney, “Close Up of Japan 1988” led to a career spanning over 20 years in the arts. She has managed programs for significant events and institutions including the 1988 Biennale of Sydney and the Australian Bicentennial Authority, Toga Theatre Festival Japan, First International Covent Garden Festival London, the Australian National Maritime Museum, the Sydney 2000 Olympic Games and the Sydney Olympic Park Authority. Her background in public programs, festivals, business events and marketing, combined with her passion for art has culminated in fulfilling her dream to open an art school. Jennifer believes everyone has some artistic ability, and with the right environment and the best teachers, anyone can discover their inner artist. Her desire to inspire an artistic future in people of all ages has led her to establish Art Est., and is guiding the principles under which Art Est. operates. Jen is still searching for her work-life balance but loving every minute of Art Est. Lisa works part-time in the Art Est. office providing administration support. Lisa has a Bachelor of Fine Arts, UNSW Art & Design (formerly COFA) with Honours from National Art School, Sydney. She also studied at Julian Ashton Art School, Sydney Gallery School Meadowbank TAFE (Dip Fine Arts). Lisa regularly exhibits her work in Australia. She has been a finalist in numerous art awards including the Adelaide Perry Prize for Drawing, Burnie Print Prize and Mosman Art Prize. Among other awards, she received the Earle Backen Award for Excellence in Printmaking from the College of Fine Arts, UNSW, and was a recipient of a William Fletcher Foundation Tertiary Grant. Her work is held in private and public collections in Australia and the United Kingdom. Pablo is Jennifer’s Cavoodle (Cavalier x Poodle) and is named after Picasso. 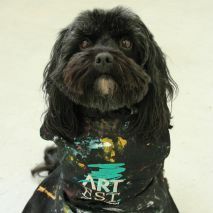 He is a regular at Art Est. and a favourite of students of all ages. Pablo also inspired our now annual WOOF! exhibition of paintings about dogs held in September.